In all but four states, private citizens can challenge someone’s right to cast a ballot on or before Election Day. In most places, the burden of proof then falls on the voter. No one knows how many of the Republican nominee’s supporters will heed his call to stand in polling places on Nov. 8 and challenge some voters’ credentials — but past experience suggests that a wave of partisan poll watchers could create confusion and discourage people who have a right to cast ballots. 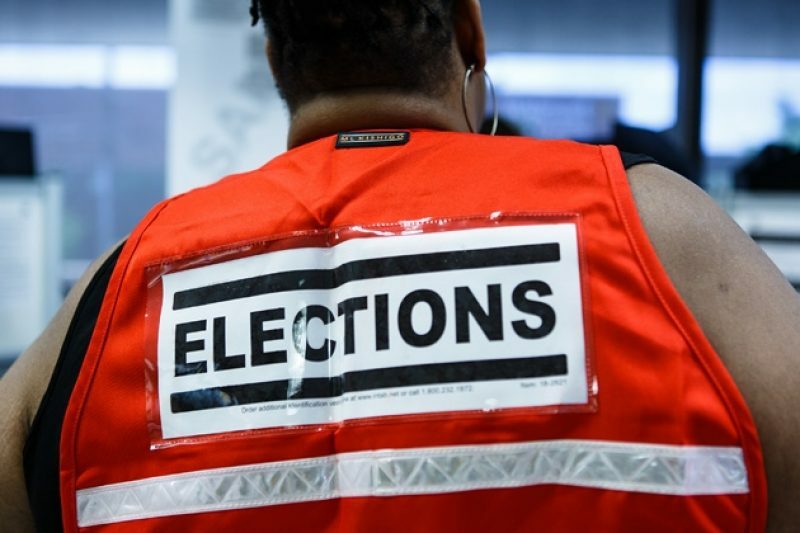 The potential impact of poll observers varies by state, depending on each state’s rules about who can monitor voting, what credentials a voter needs to get a ballot and what a citizen must do if challenged. Adam Gitlin, counsel for the Democracy Program of New York University School of Law’s Brennan Center for Justice, said an influx of inexperienced watchers could create bottlenecks, particularly if they raise systematic challenges based on voters’ race, religion or ethnicity. 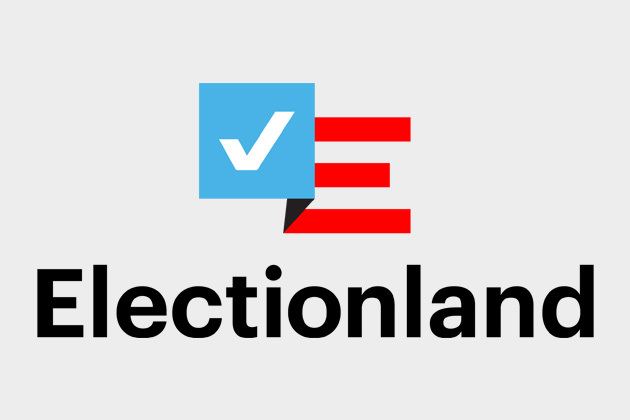 In 46 states, the laws permit private citizens to challenge a voter’s registration on or before Election Day, according to a 2012 survey by the Brennan Center. At least 32 states and the District of Columbia also allow political party designees to mount Election Day poll challenges, according to a ProPublica review of state statutes. In many of those states, the person bringing a challenge needs little if any evidence, with the burden of proof falling on voters accused of being ineligible. According to the Brennan Center, only 15 states require supporting documentation to be included as part of a polling place challenge. In Wisconsin, any voter can challenge someone’s ballot based on the suspicion that they are not qualified. The same goes in Virginia, Oregon and South Carolina. Consider the experience of Leah Wright Rigueur, a professor and historian based in Cambridge, Massachusetts. One of the first times she voted was in Hanover, New Hampshire, when she was a senior in college, majoring in history and keen to perform her civic duty in the 2002 midterm elections. Under New Hampshire’s rules, voters can register at the polls on Election Day. When Rigueur, who is black, walked into the polling place to register and vote, she was singled out and challenged by an older white man, who didn’t have to provide any backing for his accusation, she says. Several of her black classmates got similar treatment, she learned later that day. Variations of Rigueur’s experience are present in many of the challenges at the polls. Voters can be required to produce multiple forms of identification to prove their current address, find another voter willing to vouch for them or swear to a statement that affirms their qualifications. In many states, challenged voters can fill out a provisional ballot that will be verified later. For Rigueur, the entire process took about three hours, she says, in part because of the delays and confusion caused by the numerous challenges being brought against others at the polling place. Voter challenges “can play out in very ugly ways, particularly where you have challengers who position themselves inside polling places for the sole purpose of targeting voters on unlawful and discriminatory grounds,” said Kristen Clarke, executive director of the D.C.-based Lawyers’ Committee for Civil Rights Under Law, a nonprofit group that works to combat racial inequities. “The rules vary state by state, but what is almost universal is the fact that there aren’t many safeguards for voters who are subject to challenges.” In California, Ohio, Texas and Alabama, poll observers cannot directly question a voter’s eligibility at the polls. That’s also the case in Oklahoma and West Virginia, both of which go a step further by banning watchers from polling places during voting hours. There is also the charge that challengers tend to target minority voters. In Southbridge, Massachusetts, a town official said that observers linked to Tea Party groups attempted to intimidate Hispanics during a 2011 primary, in part by raising frivolous challenges against them when they came to vote. Another alleged case of voter intimidation took place just before the 2004 presidential election in southern Georgia, when 95 Hispanic registered voters were summoned to a courthouse to prove they were eligible. A group of Atkinson County residents had obtained a list of all the Hispanics on the voting rolls after rumors that a candidate for county commissioner had tried to help non-citizens register. There have been incidents in local elections as well. In 2004, Phuong Tan Huynh, a Vietnamese-American, ran against a white incumbent for a city council position in Bayou La Batre, Alabama. During the primary election, supporters of the incumbent singled out Asian Americans and challenged about 50 of them who showed up to vote, in some cases based on claims that they weren’t citizens. The Department of Justice then announced that it would monitor the treatment of Vietnamese-American voters during the ensuing municipal runoff. Huynh won that vote, becoming the first Asian American elected to the city council. Logan Churchwell, a spokesman for True the Vote, a Houston-based nonprofit that trains citizens for poll-watching as part of its campaign against voter fraud, said such observers play a necessary and central role in improving voter confidence, irrespective of political agendas. The group, which bills itself as nonpartisan, officially started in 2010 as an offshoot of a Houston Tea Party group. Since then it has provoked widespread criticism that its volunteers are overzealous and disruptive. For instance, during Wisconsin’s 2012 gubernatorial recall election, the League of Women Voters received more than 50 voter complaints that True the Vote-trained watchers mounted aggressive challenges and otherwise intimidated voters. Churchwell, though, said the group hasn’t seen any evidence to back up the complaints. Churchwell said the deployment of citizen poll watchers has been unfairly characterized as an effort by conservatives to disenfranchise minority voters. President Obama’s campaign organized election observers, he pointed out, as does Hillary Clinton’s. “If we have enough people paying attention to the process from A to Z, then we are going to have more faith in our elections,” he said. The Trump and Clinton campaigns did not respond to requests for comment about their plans for recruiting poll watchers. True the Vote conducts in-person and online poll-watcher training sessions, has created a smartphone app that allows users to send in reports of election irregularities and has enabled volunteers to vet voter rolls and challenge registrations en masse. After they are trained, observers typically must go through a local or county political party organization to get assigned to a particular polling place. Churchill said that because of that process, True the Vote couldn’t target specific precincts in most states even if it wanted to. Contrary to claims by Trump and groups like True the Vote, studies of recent elections have found scant evidence of voter impersonation fraud at the polls. One 2014 analysis, by Justin Levitt — then a professor at Loyola Law School, and now the Obama administration’s top voting rights lawyer in the Department of Justice — could find allegations of about 250 such fraudulent votes from 2000 to 2014, a period when there were more than one billion total votes cast. The Lawyers’ Committee for Civil Rights Under Law is in turn planning to recruit as many as 5,000 nonpartisan poll watchers and call center volunteers, according to Clarke, the executive director. The group runs the largest nonpartisan election-monitoring program in the country, with an Election Day presence in 26 states and multiple hotlines to support voters, she said.